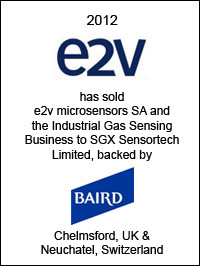 e2v technologies plc has sold three businesses including: e2v Scientific Instruments, e2v microsensors and its industrial gas sensing businesses, to SGX Sensortech Limited, a company backed by Baird Capital Partners Europe, for a total cash consideration of £14.7m. The three businesses sold comprise e2v Scientific Instruments based in High Wycombe, UK, the industrial gas sensing business based at e2v’s Chelmsford, UK facility, and e2v microsensors SA based in Neuchetel Switzerland. They provide a range of professional sensing products for x-ray spectroscopy and gas sensing for automotive and environmental safety applications. Total sales for these three combined business areas in the year to 31 March 2012 were £14.8m and adjusted net operating profits were £0.9m. There were two separate sales processes run for the three businesses, as two of the three businesses were closely linked. 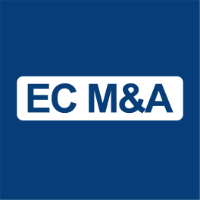 EC Mergers & Acquisitions acted as exclusive financial advisor to e2v technologies plc on both transactions.